Addressing the climate change crisis will require Washington to do the one thing America seems to hate most of all: planning. There is a myth in America that markets, not plans, are the key to success. Markets will supposedly decide our climate future on their own once we institute cap-and-trade legislation to put a market price on carbon emissions. Yet this is silly: both markets and planning are essential, as is evident in any successful large-scale undertaking, whether public or private. We need a detailed yet adaptable roadmap for action that goes far beyond cap and trade. As the Obama administration enters into intensified global negotiations on a new climate change protocol, there is much debate on the kind of commitments that the U.S. and other countries should undertake. The administration has declared that U.S. greenhouse gas emissions should be around 15 percent lower by 2020 than they are today, and around 80 percent lower by 2050 than they were in 1990. Other regions, notably Europe, are demanding that the cuts by the U.S. be larger. Such debates are taking place in a near void, however. Because there is no clear plan yet for achieving any particular objective, there are no reliable estimates of the costs, policy instruments and choices that society will have to face. All is instead being left to the market. The administration’s climate negotiator has called cap-and-trade the “centerpiece” of the domestic climate program. A moment’s reflection, however, shows why that cannot be right. Cap and trade will have little effect, for example, on whether the U.S. revives its nuclear power industry, as it should to meet climate objectives. A renaissance for nuclear will depend on regulations, public attitudes, liability laws and administration leadership and public education much more than on cap and trade, which would play at most a supporting role. The same is true with the other technologies that will be vital to achieving any sizeable reduction of emissions. Use of the potentially pivotal but as-yet-untested carbon-capture and sequestration technology for use at coal-fired power plants will depend on proving its safety, soundness and cost effectiveness. Proof will require several expensive demonstration projects, all of which will need political leadership, clear regulatory standards, public financing and the active engagement of geophysicists to monitor the projects. Cap and trade will be irrelevant until the new technology is tested in a variety of settings. The national emission reduction targets may prove to be easy or exceedingly tough depending on the outcome of these crucial demonstration efforts. The future of the automobile is similar. Cap and trade or higher gasoline taxes might help nudge consumers toward more fuel-efficient cars, but the advent of a national fleet of plug-in hybrid, fuel-cell-powered or all-electric vehicles will depend much more on a large-scale public-private development effort that links research on high-performance batteries and fuel-cells with investments in a new power grid and other critical supporting infrastructure (such as recharging stations or hydrogen refueling stations). 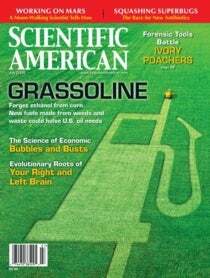 Yet another basic choice involves biofuels, a technology oddly favored by the Obama administration despite profound worries among scientists that the biofuels program wantonly diverts food and feed grains in a hungry world, adds strains on land use and biodiversity and saves precious little in greenhouse gas emissions when analyzed on a life-cycle basis. The biofuels policy is in any event driven by subsidies and regulations, not by cap-and-trade. The administration has started in a “listen and learn” mode in international climate negotiations, which is certainly fair enough after the antiscience bullying and international neglect that characterized the Bush years. It has also left legislative drafting to the Congress, which has so far resulted in an ungainly and non-strategic 648-page draft bill that has everything possible loaded into it yet little strategic direction other than cap and trade. There is a real risk that global negotiations and legislative horse trading may come to be seen as a real climate policy, but they can never substitute for rational planning and policymaking. A crucial question is whether the U.S. government can produce a detailed and coherent plan. On the surface, the answer would seem to be surely yes. The administration officials charged with the climate change issue, ranging from energy secretary and Nobel laureate Stephen Chu to presidential science advisor and Harvard University professor John Holdren, to White House climate and energy advisor Carol Browner, and many others, are committed world-class leaders in the field. President Obama is also deeply knowledgeable and committed. Yet there are serious reasons to worry. For decades, the federal government has distinguished itself with a lack of coordination among competing departments, an allergy to detailed plans (whether for Iraq, climate, New Orleans, health care, or countless other complex topics) and a power for narrow interests in Congress to frustrate the most basic logic of thinking ahead. Climate change is certainly the most complex of all the challenges facing the administration and the world: it reaches into the core of the economic system, raises fundamental questions about technology, poses tremendous natural and social uncertainties, requires an outlook of decades rather than months or years, and engages every interest group. These are reasons why we need an adaptable plan and rational framework more than ever, but also reasons that help explain why— nearly 20 years after the 1992 Rio Earth Summit and the agreement on the U.N. Framework Convention on Climate Change—we still lack one.